My passion is to create dramatic images that are fun for you to be a part of. It's really important that you're completely comfortable being around your photographer, particularly your wedding photographer who'll be poking their camera in your face for hour after hour on what will be an emotional and maybe a stressful day. Me & my big sister. I'm the cute one on the right! I was born and raised in Whangarei, and then spent six years in Hamilton completing a degree at the University of Waikato and working at Gallagher Electronics. By my mid-20's, I was employed in Auckland as a Senior Manager in a company supplying NZ's booming electronics industry. Graduating with a Bachelor of Management Studies from The University of Waikato. In 1997, with a young family in tow, we made the move to beautiful Nelson and the choice for me to be a full-time mum. Our two girls are now young adults, are the love of my life. Camel riding with my family. Tramping, kayaking, and generally playing outdoors in this most gorgeous part of our blessed land, are my source of refreshment. When I'm able, my greatest joy is to travel. We've backpacked though many parts of the world. My favourite spots include Cambodia, Poland, Turkey, Israel and Ethiopia. Having spent time in many developing countries, I have a passion to fight the indignity and injustice of extreme poverty, so I'm a volunteer Advocate for TEAR Fund, an international aid and development agency. It seems like story telling through photography has always been part of my life. However, it was in 2002 that I had the opportunity to begin to grow my hobby into a now thriving business. It was at that time that, though word of mouth, I was regularly being contacted to photograph weddings. 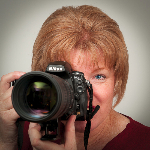 I have since completed a Diploma of Digital Photography to complement my self-taught skills. I love what I do, and I always feel incredibly privileged when someone asks me into their world to create and capture the memories of their significant life moments. It would be my pleasure to do this for you too! This small video clip lets you know a little more about me and how I work. If you'd like to know more, just call me for a friendly chat!